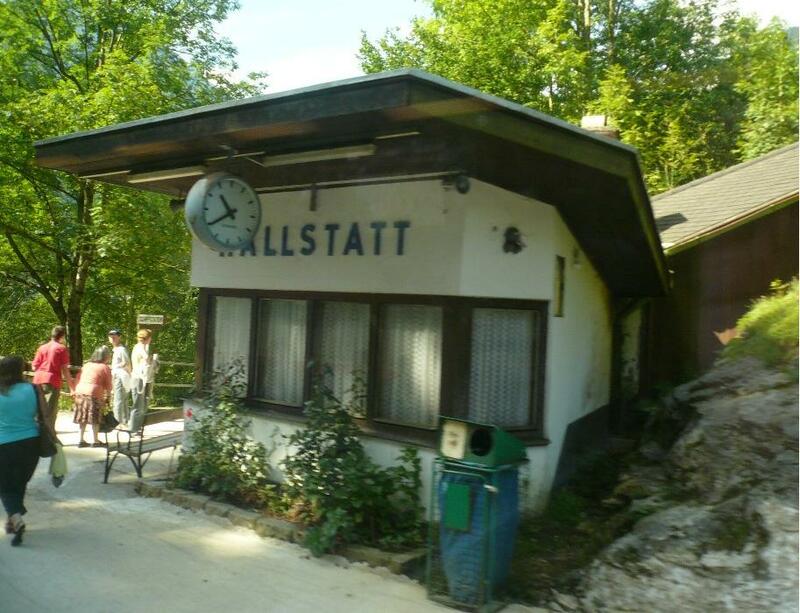 Stazione di Hallstatt. 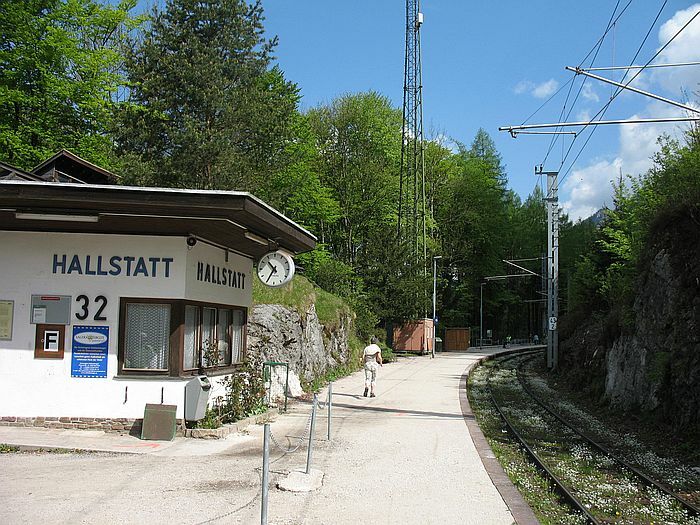 Hallstatt station. 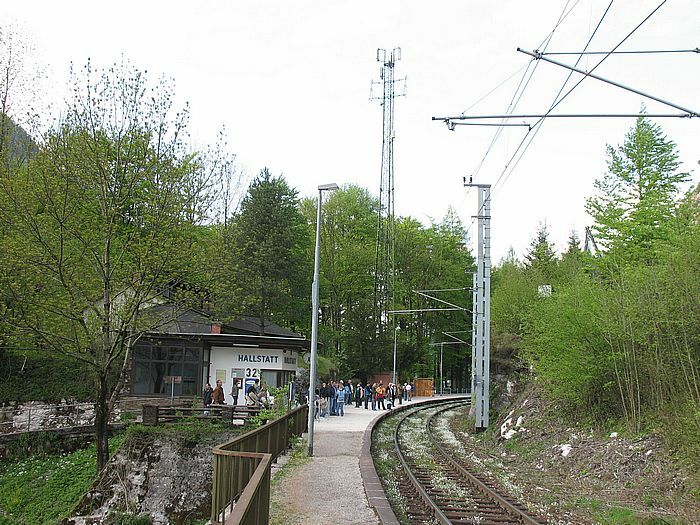 ÖBB station Hallstatt on the Attnang-Puchheim - Stainach-Irdning line. 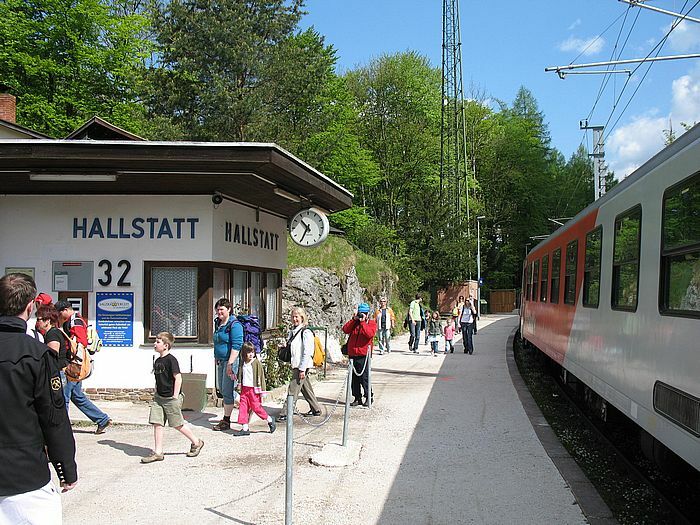 You can get off the train here and change to the boat across the lake to the town of Hallstatt, which is located on the other side of the lake. Note that this is a very idyllic station, even the tracks are covered with flowers. 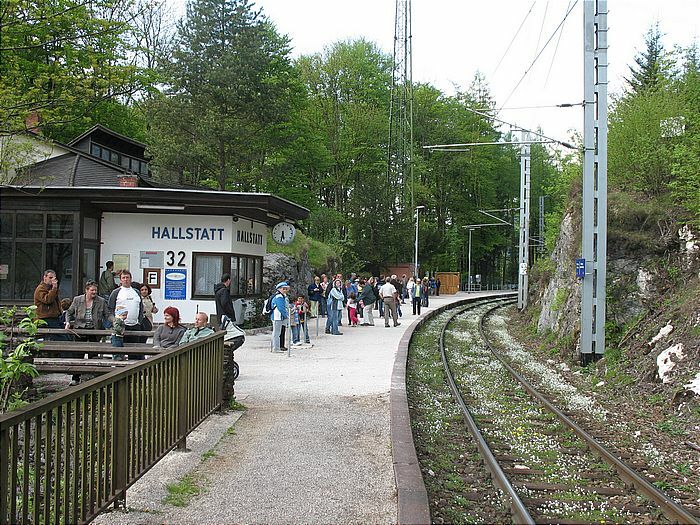 ÖBB station Hallstatt, view to Stainach-Irdning. 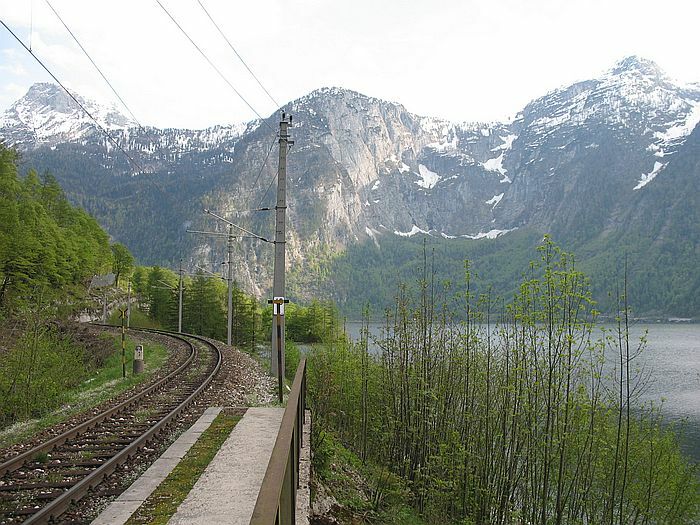 ÖBB station Hallstatt, view to Attnang-Puchheim. 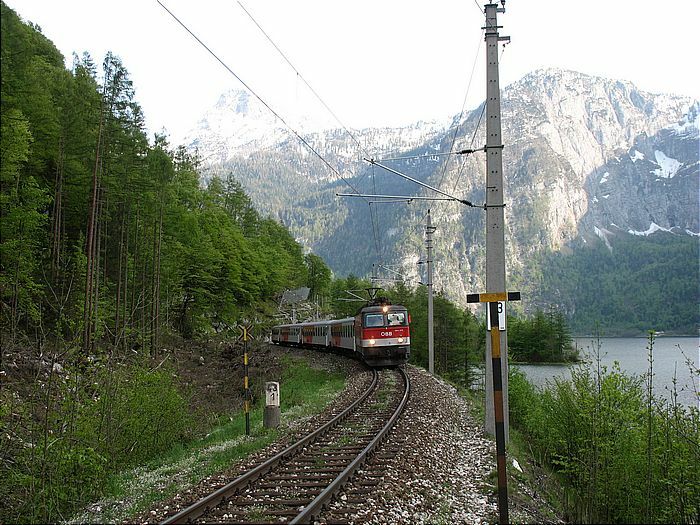 REX to Attnang-Puchheim is arriving at Hallstatt.